Many thanks to A&C Magazine, The Wine Therapist, and our other sponsors for "A Night at the Muzeion!" Rafael Carreon, President and owner of Rafa's, is an arts advocate and collector. He has been supportive of APT's endeavors to help us help excellent artists. We appreciate him hosting our Launch Party on February 25, 2012. 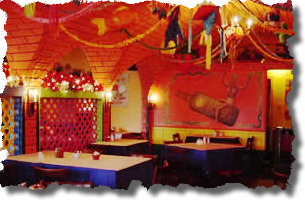 Stop by Rafa's on Lover's Lane in Dallas if you are a fan of great Mexican Food! ATACTA is the moniker for Nat Leakey, Dallas based producer and composer of electronic music. Nat produces digital videos and creates music that can be integrated into visual works through collaboration with visual artists. He is currently scoring an independent film in production in Los Angeles entitled D-Hall. Recently he composed original music for the short film Growing Up X, and for a California Department of Health commercial. In 2011, ATACTA contributed music to the film In the Land of Fireworks, presented at the 2011 Dallas International Film Festival. ATACTA has produced 10 original albums since 1999, and is currently working on his 11th album, for voice and piano. Michael Tillman’s mastery of the field of music is evident in the fluency of his delivery. Whether the flawless execution of a Brazilian piece, or an articulate explanation of music lore, he is a consummate musical professional. A true artist of classical/jazz guitar and voice, his musical performance is passionate and inspiring. APT is a proud member of the Dallas Art Dealers Association, an affiliation of established independendent gallery owners and not-for profit organizations in DFW. DADA is pledged to a high standard of ethical conduct, a devotion to public service, and dedication to professional integrity.